In August 2018, Congregation Beth Torah in Overland Park, KS upgraded their audio system with a digital audio console from Allen & Heath and new speakers from Fulcrum Acoustic. 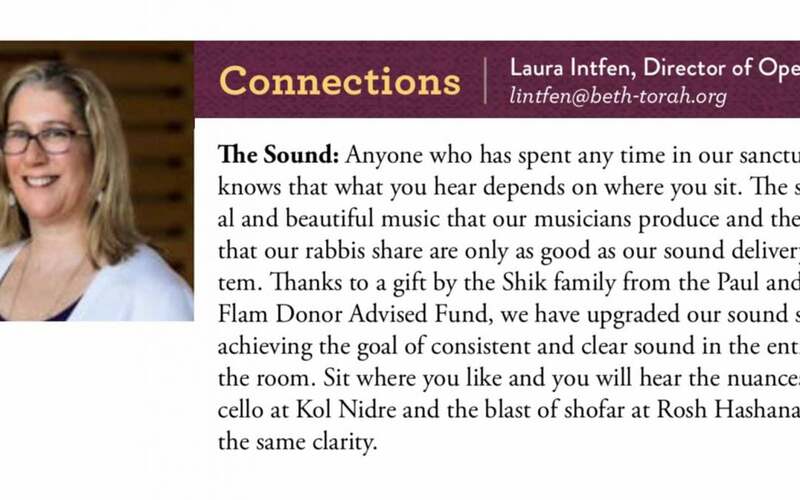 HERE is a note in the monthly Connections newsletter from Laura Intfen, Director of Operations at Congregation Beth Torah describing their success with SRS. Stark Raving Solutions is so blessed to partner with this congregation in the KC metro area!